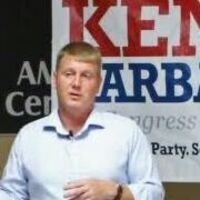 Ken Harbaugh will discuss his campaign to represent Ohio 7. Harbaugh is a former Navy pilot and past president of Team Rubicon, an organization that employs veterans for disaster relief. This event is sponsored by the Kenyon Democrats. Kenyon College does not endorse any political candidate and/or their political views.